Twenty-five years after quitting the Smiths, Johnny Marr finally goes solo. Plus, everything you wanted to know about the Smiths but were afraid to ask and/or didn’t have their phone numbers. Being Johnny Marr is nice work if you can get it. Lots of travel, flexible hours, money for nothing, chicks for free. Most days you walk between the raindrops. You are rakishly handsome, impossibly talented, effortlessly cool and beloved by all. Born in Manchester and raised in public housing, you meet your soulmate when you were 14, you quit school when you were 15, and at the ripe old age of 18 you start a band that NME readers will, 20 years hence, declare the most important band of the last 50 years, edging out the Beatles and the Rolling Stones. Small wonder everyone wants you to join their band in the studio or onstage for a song or a tour, or even an album or two: Talking Heads, the Pretenders, Modest Mouse, R.E.M., Beck, Oasis, Bryan Ferry, Pet Shop Boys, Billy Bragg, Black Grape, Jane Birkin, Happy Mondays, The The, Chic, Dinosaur Jr, Pearl Jam, Crowded House, Tom Jones and, last but not least, the guy who started Joy Division. You almost never say no, because you are not just a legend, you are also a nice guy. Here you are, a year shy of 50. You still have the soulmate, two grown children, your looks and all your hair, plus a line of Fender Jaguars named after you, along with a numbered limited edition of Johnny Marr Ray-Ban Signet sunglasses with light blue-tinted lenses and gunmetal frames. And, best of all, 25 years after walking away from your own band, you are finally going solo. The album is called The Messenger and it is easily your best work since the Smiths. Some of it is clearly as good as the Smiths, and some of it, arguably, is better than the Smiths. Ah yes, the Smiths. Before we go any further, let’s just get this out of the way: The Smiths will not be reuniting. Not now, not ever. Not that I didn’t try to make it happen, but the sad reality is when the queen is dead, she stays dead. A full Beatles reunion is more likely. Or, to quote Morrissey’s publicist, “The Smiths are never, ever, ever, ever, ever, ever, ever, ever going to reunite—ever.” And if the more determined among you can parse that quote for a glimmer of hope that there’s still an outside chance of a reunion, please note that there’s eight “ever”s in that statement, meaning eight eternities in a row that will have to run their course before a Smiths reunion comes to pass. Given that the median age of the members of the Smiths is 50, and the life expectancy for British males is currently 78.2 years, it doesn’t look good. Especially when you factor in that Morrissey has not spoken to Smiths bassist Andy Rourke in 16 years. 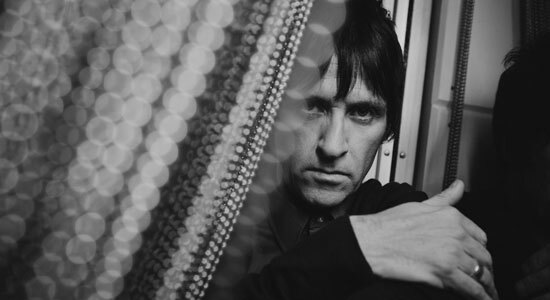 Drummer Mike Joyce has not spoken to Johnny Marr since 1996, when Joyce successfully sued the both Moz and Marr in Britain’s high court for a quarter of all Smiths recording and performance royalties, up from the 10 percent each both he and Rourke had been afforded up until then. On top of it all, Moz and Marr were ordered to pay Joyce $1.5 million. As you can imagine, Morrissey was not pleased. There are many things Morrissey can do better than most: make grown men—straight men, mind you—swoon with just the tremble in his voice and a wave of his daffodil scepter, or eviscerate the high and the mighty, the brutish and vulgar, the thick and the ignorant with his switchblade wit. But inarguably, his single greatest talent is holding a grudge with inexhaustible doggedness. The trial, and all the bitterness and acrimony that surrounded it, probably poisoned the waters for all time. “I wish the very, very worst for Joyce for the rest of his life,” Moz told an interviewer back in 2002. Ten years later, there is no sign the mutual enmity has subsided. I tried to get Joyce’s side of the story, but he demanded payment of $500 for an interview. Mercifully, Rourke, who currently lives in New York, where he DJs on an internet radio station called East Village Radio, was happy to talk for free. MAGNET: Why didn’t you and Mike Joyce stand up for yourselves from the get-go and demand that songwriting royalties be split equally?Rourke: That’s just the way the Smiths worked. MAGNET: I’m guessing you wrote all your own bass lines for those songs, right? Rourke: Yeah, that was the case. MAGNET: Well, that’s just as important to writing a song as coming up with a drum beat or a guitar part or the lyrics. Rourke: I think Morrissey and Marr wanted this kind of Lennon/McCartney, Leiber and Stoller image. But it came at my expense and Mike’s expense. It’s not just the estrangement of the rhythm section that stands in the way of a Smiths reunion. Morrissey and Marr were once the inseparable Glimmer Twins of post-punk British pop. As of late, the closest the two have come to meaningful social interaction is @JohnnyMarr trading quips about Oscar Wilde with @MorrisseysCat on Twitter. I’m not even kidding. Or to put it another way, when I asked Morrissey’s publicist if Moz would be willing to supply a few quotes for a cover story about his old bandmate and songwriting partner, her response was this: “As I’m sure you can understand, I can’t even present this to Morrissey.” Emphasis mine. However, the good news for Smiths fans is, aside from the fact that there is a new Morrissey album in the can with a release date TBD, Marr has just issued The Messenger (Sire/ADA), his first solo album. No longer content to play the don’t-blame-me-I’m-just-the-wandering-guitar-hero role for an album or two in other people’s bands, Marr is finally willing to step into the spotlight, consequences be damned, to bask in the praise and/or shoulder the blame. Judging by repeated listens to The Messenger, there will be precious little of the latter and heaping helpings of the former. The Messenger is a compendium of ultra-catchy postmodern pop showcasing not just the deft, strummy jingle-jangle guitar work that was the cornerstone of the Smiths, but also the roar and crunch of his later collaborations with Modest Mouse and the Cribs. It’s not even so much the notes he plays, it’s the way he moves the air around. Like the true greats, he’s more felt than heard. The six-string wizardry should come as no surprise—he is a guitar hero after all. What is somewhat surprising—outside of the welcome return to the concision and clarity, as well as the earworm-baited hooks of the songcraft—is how bold and convincing the vocals are. Johnny Marr was born Johnny Maher on Halloween 1963 in Manchester, England, the son of two Irish-born immigrants. He came of age in the Wythenshawe Council Estate, the British equivalent of public housing. From the beginning, he possessed an almost preternatural sense that he was destined for the big time. He even knew the tool that would get him there: the electric guitar. By seven, Marr graduated from toy guitar to the real thing, and almost immediately started “stringing chords together and making some tuneful noise out of it.” By the time he reached puberty, he’d already bought his first record with his own money: the “Ride A White Swan” single by T.Rex. Glam was his first major influence—Bowie, Mott The Hoople and Marc Bolan—followed by the Rolling Stones, then Neil Young, then the Stooges and Patti Smith. He pored over each new album he acquired like a Talmudic scholar hunched over the Dead Sea Scrolls. For the deeply devoted—and they are legion—there are but two periods in the history of mankind: The time Before Smiths and the time After Smiths. The years B.S. ended in Manchester one May afternoon in 1982, when Johnny Marr—his rockabilly quiff stacked high and retro, Brando-esque Levis cuffed just right—ambled up to 384 Kings Road and knocked on the door. One Steven Patrick Morrissey, unemployable bookworm homebody, who at the ripe old age of 22 was beginning to get the distinct feeling that life had passed him by, answered the door. Marr did not bother with the inane niceties of small talk, and told Morrissey, in so many words, that he was starting a band, it was going to change the world, and you are going to be the lead singer. In that case, you had better come inside, Morrissey said. Years later, after he’d been ensconced as the poet laureate of a lost generation, Morrissey would say he had expected something like this all along, that for years on end he kept vigil in his bedsit sanctum in his mother’s house waiting for destiny to knock on his door. They went up to Morrissey’s bedroom, which was wallpapered with floor-to-ceiling shelves heaving with books, and all roads seemed to lead to a typewriter on a desk. A failed rock critic, Morrissey had taken to writing poetry as of late. They bonded immediately over a shared love of ’60s girl groups like the Shirelles, the Crystals and the Shangri-Las. The next time, they met at Marr’s house. Up in his attic bedroom, they sorted out the truly important things—the color of the label on their first single (blue), the record company they were going to sign with (Rough Trade)—and then they started writing songs. Morrissey had brought with him two poems. The first was titled “The Hand That Rocks The Cradle,” with its gloomy intimations of domestic violence and sexual abuse (“There’ll be blood on the cleaver tonight”). The second was called “Suffer The Children,” and its subject matter was the infamous Moors Murders. Between July of 1963 and October 1965, Ian Brady and Myra Hindley kidnapped, raped and murdered five children in and around Manchester. Three bodies were recovered from the moors outside town, hence the name. The crimes haunted Morrissey’s childhood, and continue to cast a long dark shadow over Manchester to this day. “Suffer The Children” was a hell of a long way from “Da Do Run Run,” but in the space of a few hours, Morrissey and Marr had written their first two songs. Exactly one year later, Rough Trade released “Hand In Glove,” the Smiths’ debut single. The label on the center of the 45 was blue. The Smiths rose to fame on both the catchiness of Marr’s ringing Rickenbacker arpeggios and the sheer poetry of Morrissey’s lyrics, not to mention his acerbic wit and outrageous public pronouncements. Morrissey, avowedly vegetarian and proudly celibate, gave voice to the quiet desperation of the bullied, the bookish, the bruised and the broken. Out of the gate, Morrissey tapped into a deep well of private despair, sublimated anger and social dislocation, a pervasive sense that the machinery of The Establishment—the school system, the justice system and government itself—was at best incompetent and unresponsive to the actual needs of the people, and at worst cruel and abusive by design. But instead of articulating this emerging anti-Establishmentarian consensus as raw spleen and vitriol, as did the punks that came before him, Morrissey would come bearing flowers, his rage-against-the-machine wrapped in Wilde-ian aphorisms, take-me-back-to-Old-Blighty whimsy and gentle, velveteen guitar pop. Every Smiths song is like a candy apple with a razor blade inside. It was a heady moment in the arc of pop cultural history, but it seemed like it was over almost before it began. Five years and 73 songs later, the Smiths were no more. There is no one reason why the Smiths broke up—money, drugs, ego and bad business decisions all played a role—but it is generally understood that the band’s almost overnight success sowed the seeds of its foreshortened demise. When you press Marr on why he quit the band in July 1987, his first response is characterized by the caginess and mild irritation of a man who’s been asked the same two or three questions almost every day for two and a half decades. The why is in the eye of the beholder, he says, which, when you think about it, is actually the most honest, enlightened and accurate answer to that tired question. “Anybody who is really interested, I suggest they read the four or five books (about the Smiths) and hundreds of interviews, and they can decide why,” he says, clearly irked at having to go through all this ancient history again. Out of context and overstated, says Marr now. “All of that had as much to do with it as the color of my socks,” he says. The truthiness of said narrative extends to Marr now being a teetotaler and unable to tolerate the company of anyone who is otherwise, much to his chagrin. Marr long ago mastered the art of making a graceful exit. When you’re a hired gun, you can’t afford to make messy personal attachments. Not that he hasn’t made friends with or enjoyed the company of all the people he’s worked with since the Smiths, but he’s only there for the song, man, not the people or the party afterward. Because sooner or later, they will break your heart. Been there, done that. He got his fill of melodrama and thrill-seeking with the Smiths, thank you. Which may explain why he’s never put down long-term roots with any one project. Not even the Smiths—when you stop to think about it, that was just five years. The Rolling Stones have been together for 50. The other answer is that he just gets bored and restless, or senses that he’s not going to catch lightning in the bottle again with this or that project, and moves onto the next thing. And the next thing is Johnny Marr, solitary man, lone wolf, eponymous. Not the guy from the Smiths who plays with Talking Heads or the guy from the Smiths who plays with the Pretenders or the guy from the Smiths who plays with Modest Mouse. Just Marr, myself and I. And so, without further adieu, come hell or high water, ladies and gentlemen, heeeeeeeeeere’s Johnny. As far back as 2006, British Prime Minister David Cameron has touted his love of the Smiths, telling the BBC that “This Charming Man” would be on his Desert Island Disc. Cameron is a member of the Conservative Party, the British equivalent of the Republicans, minus the gun nuts and religious fanatics. The one thing the Conservative Party and the Republicans have in common is a pitiless determination to dismantle the welfare state. During a heated Parliament debate over the Conservative Party’s proposed tripling of tuition fees at state-subsidized universities as part of a grand austerity plan, Labour MPs openly questioned the depth of Cameron’s knowledge of the Smiths, resulting in a volley of Smiths song titles batted back and fourth across the floor of Parliament. The proposed tuition hike triggered riots and demonstrations across England. Some 50,000 student protesters flooded London in November 2010. At one point, Conservative Party headquarters was stormed by protesters and thoroughly trashed. On the day after the Smiths debate, Parliament scheduled a vote on the tuition hike. Outside, protesters manned the ramparts. The students lost that day; the tripling of tuitions got the necessary votes from Parliament. But a remarkable photo emerged from the protests that would resonate far and wide, and answer once and for all which side of the fight the Smiths were on. It is a picture of a lean and wiry student-age woman with a blonde ’80s bob, wearing skinny jeans and Doc Martens—a look that would not be out of place at a Smiths show at the Haçienda in 1983—climbing to the top of the barricade and towering over a phalanx of riot police looking up at her in full-blown stormtrooper riot gear. The girl is wearing a Hatful Of Hollow T-shirt and leaning forward, striking a defiant pose, clearly spoiling for a fight. Behind the stormtroopers, the tower of Parliament, that beacon of official power, leans toward the girl like they are about to go head to head. The State meets The Resistance, and The Resistance is wearing a Smiths T-shirt.